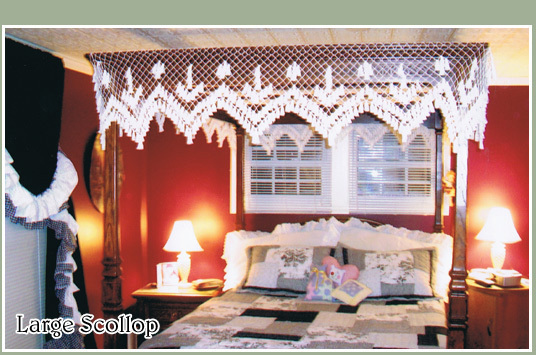 High Country Canopies offers hand-tied accessories for all your bedding needs. Available in all designs. To order additional accessories please visit our online shopping page for more information. 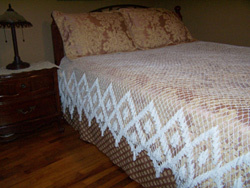 Coverlets are available in all designs and colors. Shown here is the Double Diamond design. 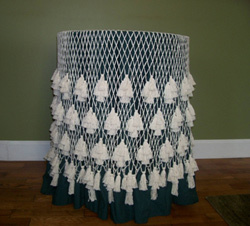 Dust Ruffles are available in all designs and also any drop length. Colors - Natural and White. Shown here is the Margaret Winston design. 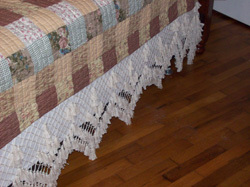 We also offer a dust ruffle available in Natural or White and any drop length. 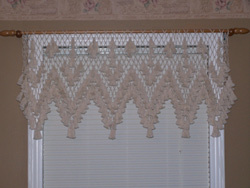 Window Valances are also available to match any design. 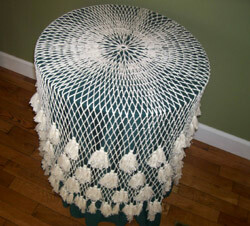 Also available in Natural and White.